Description - With Joy Carpets Crayon Carpet you can now take your obsession with crayons to the next level. 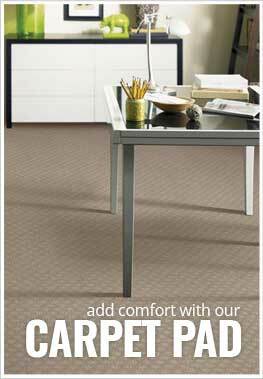 This commercial grade broadloom carpet is great for both home and business use and is resistant to staining, soiling, mold, and mildew growth making it great for high traffic areas, kid's playrooms, and day cares. Easy to clean and maintain, this carpeting is backed by a lifetime warranty ensuring your new floor will look great for years to come. Pattern Repeat - 32.4" x 37.7"
Recommended Uses - Joy Carpets Crayons Carpet is the perfect floor for any home or business and is very easy to clean and maintain. This broadloom carpet can be found as flooring in child care facilities, as basement carpet, in playrooms, as high-traffic area carpet, as family room flooring and much more. Great for day cares, high traffic areas, and basements. Stain, soil, mold, mildew and odor resistant.